The Emir of Kano, Mallam Muhammadu Sanusi II, has raised the alarm over growing political friction ahead of the 2019 general elections. He made the observation during the Hauwa Nassarawa, a traditional Sallah homage paid by Kano State governor, Abdullahi Umar Ganduje, yesterday. Sanusi’s warning is coming barely nine days to a hearing by the Federal High Court, Kano, on the trial of former governor Mallam Ibrahim Shekarau, former Minister of Foreign Affairs Aminu Wali, and former Director General of the Goodluck Jonathan Campaign Mansur Ahmad – all chieftains of the Peoples Democratic Party (PDP) in the state. 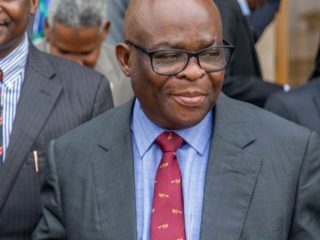 The trio is facing a six-count charge of money laundering, accused of collecting N950 million from former Minister of Petroleum Diezani Alison-Madueke, contrary to Section 18(a) of the Money Laundering Prohibition Act 2011 as amended. Supporters of the accused persons in the thousands, last month, had tried to overpower security operatives and force their way onto the court premises. The police responded with sporadic gunfire and teargas. Earlier that week, hundreds of protesters, alleging political victimisation of the accused, had tried to prevent Shekarau from making a scheduled visit to the Kano State office of the Economic and Financial Crimes Commission (EFCC). Security personnel were reportedly forced to seek reinforcement to regain the upper hand. The All Progressives Congress (APC) currently holds sway in the state. Ongoing rivalry between Ganduje and former governor and serving Senator Rabiu Musa Kwankwaso (Kano Central) is also threatening peace within the party. Few days to the Eid-il-Fitir celebration, the member representing Municipal Constituency at the state House of Assembly, Baffa Babba Danagundi, petitioned the Inspector General of Police, National Security Adviser, the Department of State Services, and the Emir, accusing Kwankwaso of plotting to unleash violence during the festival. Danagundi, Chief Whip of the House, alleged the former Secretary to the State Government, Alhaji Rabiu Bichi, and Kwankwaso’s former Commissioner for Water Resources, Dr. Haruna Adamu Dangwani, were accomplices. But former Commissioner for Home Affairs and Kwankwaso’s political associate, Comrade Aminu Abdulsalam, refuted the allegation, saying Ganduje had instead sponsored Danagundi to eliminate him and other supporters of the former governor. The intra-party feud led to Kwankwaso’s backers holding parallel congresses during the recent exercise in the state. 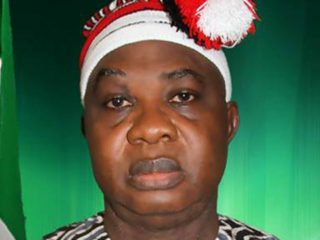 “We commend the government for improved security in the state. That effort is evident in the peaceful atmosphere we currently enjoy in Kano. But I want to plead with the government to check the rising political threat in Kano. “We thank God, the uprising by Boko Haram is phased out. But the tension generated by politicians ahead of 2019 is assuming an alarming spate. We want the government to intervene, to ensure peace and stability before, during, and after next year’s elections,” said Sanusi. The Emir’s admonition also coincides with the charged countdown to the July 14, 2018 Ekiti State governorship election, which has already witnessed violent scenes, amid fears of further disturbances. Responding, Ganduje noted that the state government recently hosted leaders of all political parties, with a view to enhancing peaceful co-existence in the run-up to next year’s polls. 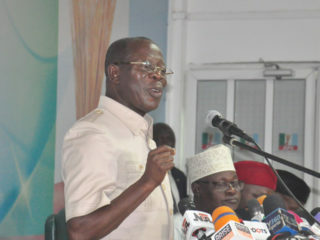 He blamed the media for fueling political instability in the state, cautioning owners of local radio stations to beware of sponsored programmes designed to destroy opponents. “We have recorded significant improvement in the area of security. I must say the success was achieved with the support of security agencies in the state. Currently, the challenge of Boko Haram is over. There is no case of herdsmen and cattle rustlers any more in Kano. In fact, we have converted the notorious Falgore Forest to a training ground for the Nigerian military,” the governor added. The forest had been a hideout for armed criminals.